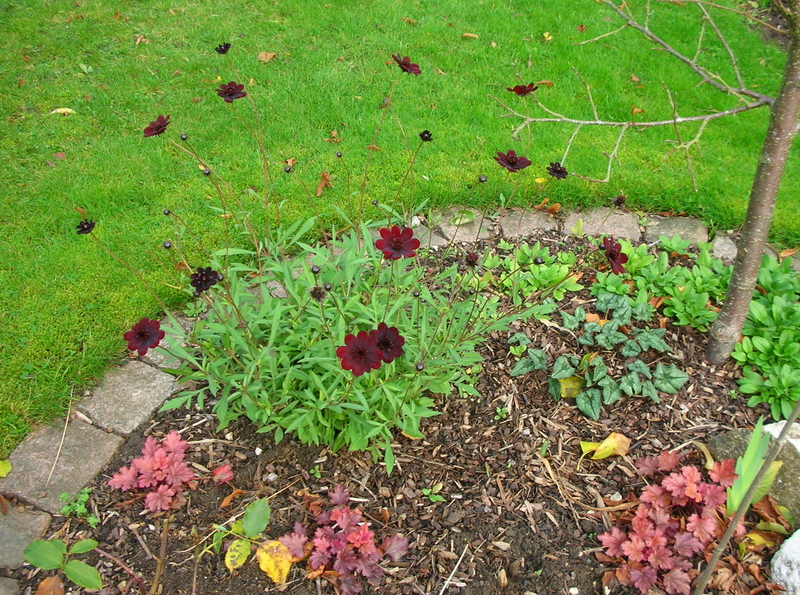 The joys of leaf mould and November blooms. I have spent the last thirty years trying to get some substance and water retention into our dry sandy soil. A few years ago I try to make leaf mould in old compost bags. I checked the bags at 6 months, 1 year, 18 months… and found… a pile of soggy leaves. Yet I still felt that autumn leaves were too precious to put in the municipal compost bins. So I netted off an area under the trees at the back of the garden and just threw leaves in there… and there they stayed year after year looking like dead leaves. and found the original bags full of… leaf mould! 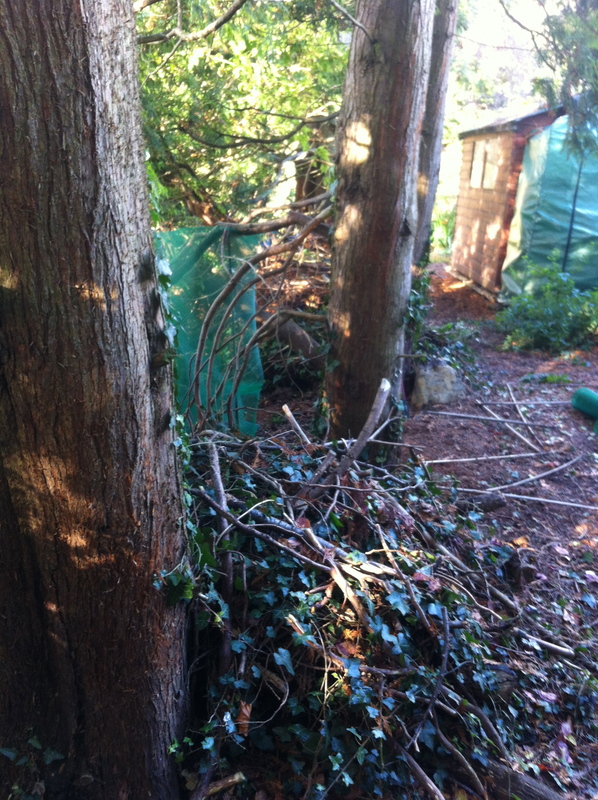 This year my husband pointed out that the area I had ne tted off had… turned into leaf mould. 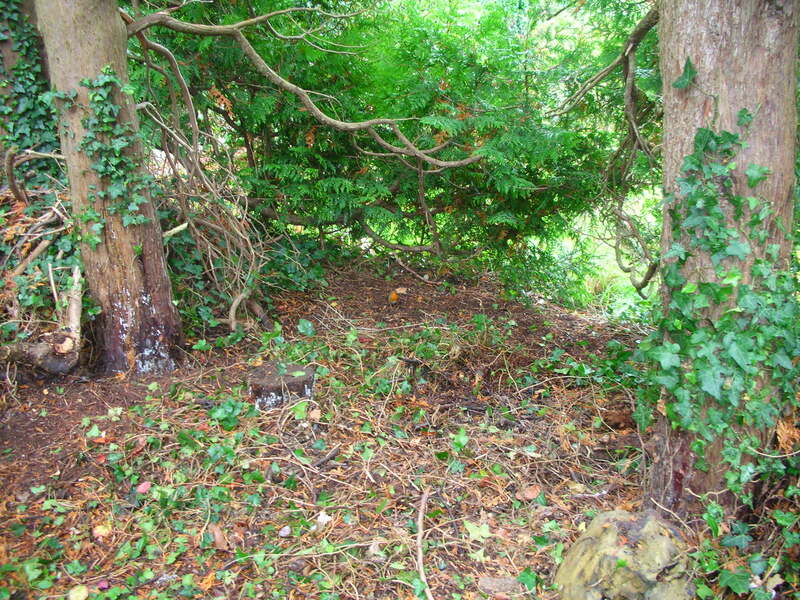 I found another log and ivy-infested area between the trees at the back of the garden. 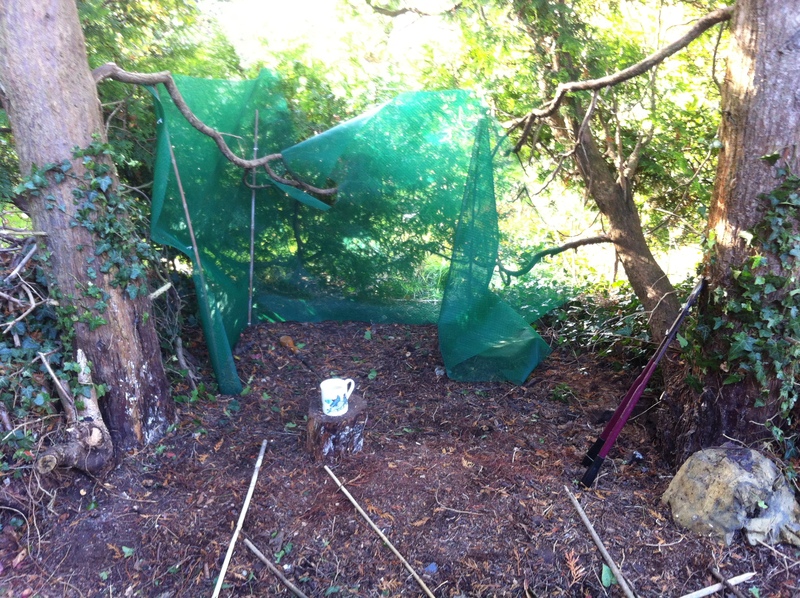 And, with the help of a robin or two (he’s in there somewhere) I cleared this, netted it, and filled it with leaves. 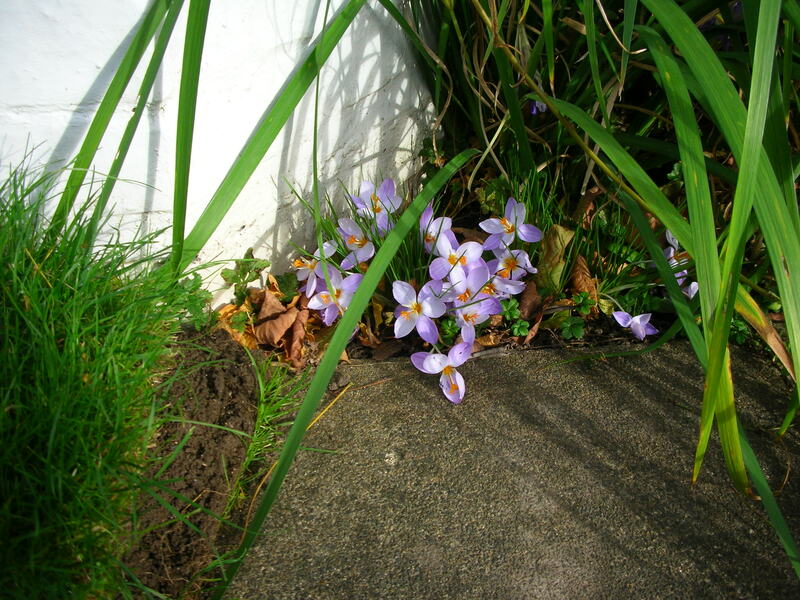 All I have to do now is wait for five years… And this is where the hedgehog may be about to hibernate (he is still feeding) After all those unexciting images here are some November blooms. 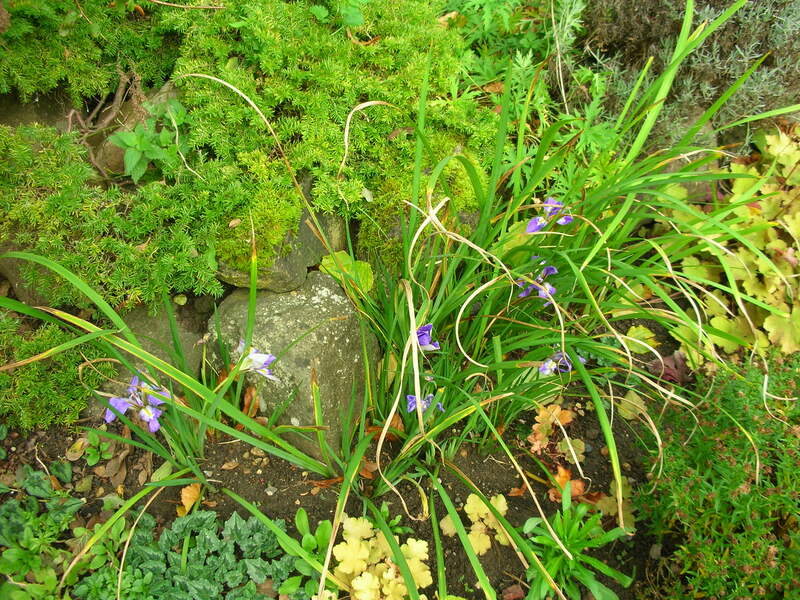 This entry was posted in Gardens and tagged autumn crocus, cosmos chocamocha, hedgehog hibernation, leaf mould, Leaf mulch, winter iris by hilarycustancegreen. Bookmark the permalink. No, once it has done it’s stuff, it is smell-less, dark, moist, crumbly goodness – sort of natural forest floor. You’ll find the worms a peaceful form of entertainement as well. Early in the morning I often lift the lid and watch the squirming mass of friendly worms dining on tea and coffee grounds. They love food scraps but not onions or citrus. Great series of photos and I love the smell of a good leaf mould. It is going to get into the forties today and people have been warned to stay indoors, drink water. A rose by any other name…what a lovely rose. Ah, we have frost and snow winging their way in. I have been waiting for an update on the wormery – a whole post with illustrations perhaps…? 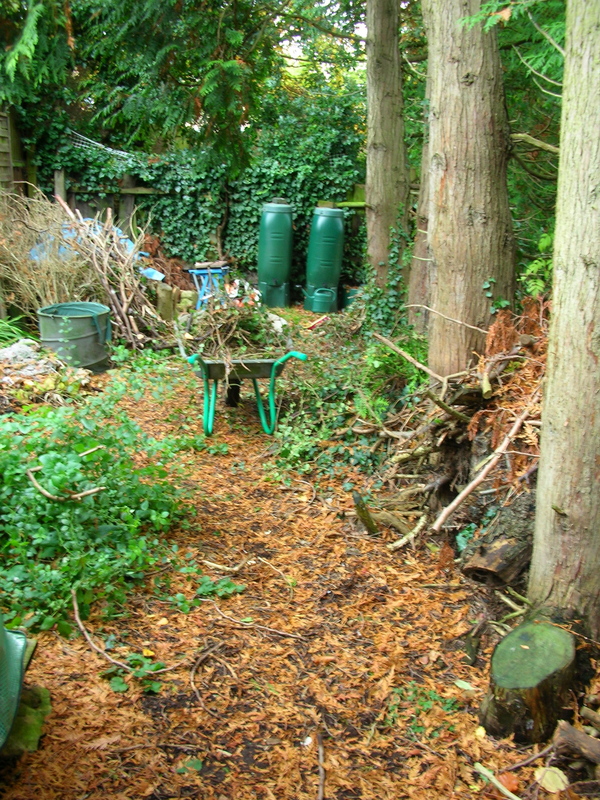 I love leaf mould….and I’ve heard many good things about worm farms! Worms looks like my spring project. I just need to find the right moment to suggest it to my husband. I don’t know why, but he tends to turn pale every time I say I’ve got an idea. Your blooms are much better than ours so the pictures are good. And your leaf mould is excellent too, a new habitat for those that like it. Thanks, this is the final fling. Frost tonight. The hedgehog, however, is at this moment having a meal outside the back door. Blooms in November! We are being battered by rain which will become snow. I envy your mould and shots of colour. He’s had to live through a lot of my ideas… I am completely nutty about the cosmos. I used to love having a robin as a companion in the garden until the BBC revealed that they do it because they used to accompany wild boars through the forest. Very deflating information! Oh, I’ve always gone to some trouble to impersonate the boars to encourage the robins. 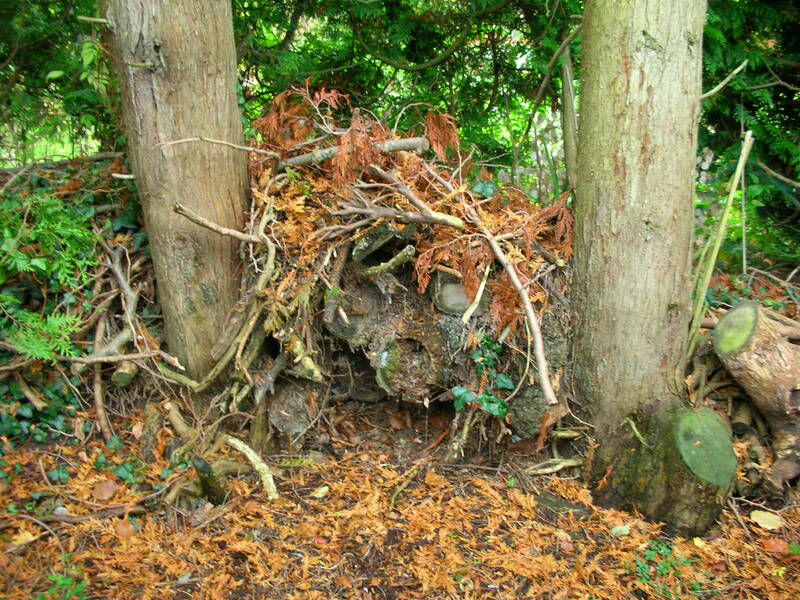 Grubbing up ivy and turning over dead wood on hands and knees is very satisfying and boar-like, you should try it. Hurrah! Good things come to those who wait. Congratulations on your long-awaited leaf mould, and here’s to more in the future. Beautiful blooms, too. Patience is not my greatest virtue, but the garden certainly encourages it. Those November blooms are so pretty — and welcome. 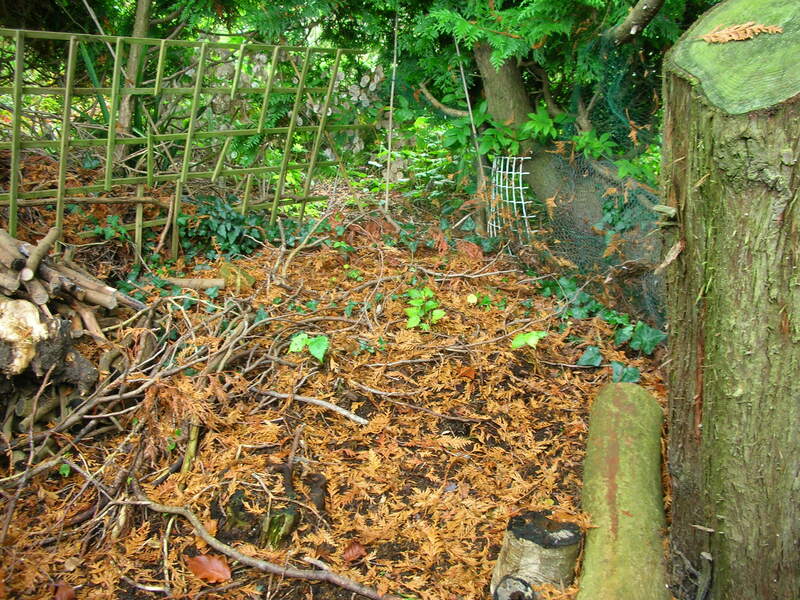 Now tell me: did the leaf mould really take 5 years? It’s such a great idea, but that takes kinda long. Umm, I wish I knew, my memory for years as they pass is very unreliable. I have trawled my iPhoto, but a pile of leaves in a dark corner is not something you think of photographing. At least 4 years, I think. It is quicker making it in bags (they claim 2 years), but much more of a fiddle and you have to keep opening and wetting them. Piling them in an open area or container is easy. Some leaves are slower than others, but I believe you can buy some kind of accelerator… (a bit of research here – urine works a treat). The secret is forgetting them until they are ready. I hear you. Thanks, Hilary. I have to admit that I am a haphazard gardener. I fit things in when I can, sometimes the compost gets turned, but it’s often no more than once a year. The veg plot seems to make its own laws – beans good one year, spinach the next. This year a bug got all my leeks. What a curious things about your toad. I guess the rest of the animal world is as susceptible to genetic malfunctions as humans are, and we don’t often see them as they probably don’t survive. I hope your toad has a great life in your garden. I’m sure the trees are glad of their mulching – I find it’s best to count the things you’ve managed to get done, rather than listing all the things that didn’t happen! The last rose of summer. I too have a couple brave stranglers that are delaying my pruning, but we expect frost tonight as well. 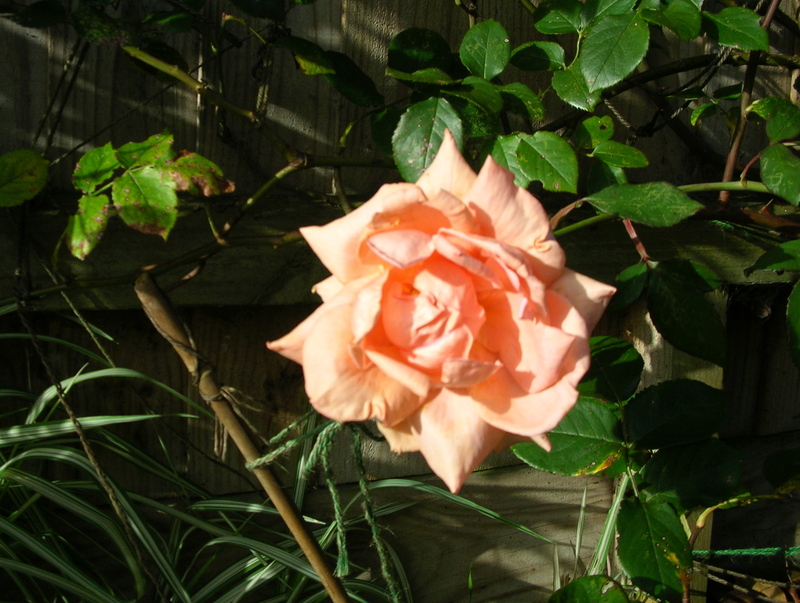 The frost has come… and gone and rose buds are opening. It feels very cold and wintry, but the hedgehog is still feeding. The seasons are no longer clear-cut, but maybe they never were. My life revolves around leaf mould too. Always trying to make more. I have an Azalea in flower! The Winter Jasmine is out and next years bulbs are already popping up. But I don’t have a hedgehog. Present idea for anyone who wants to send me something? I really want a hedgehog. Leaf mould obviously needs a whole blog to itself! I think an important part of the process is forgetting it/believing it will never work etc. I have a tiny garden and follow Alys Fowler’s advice to bag up damp leaves loosely with air holes in normal black rubbish sacks and leave in a shady corner somewhere for a year or two. 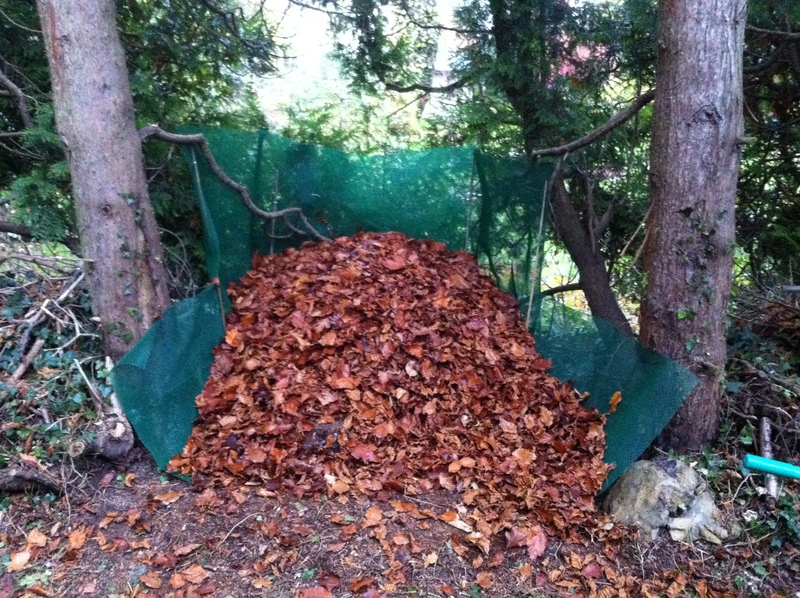 This year opened up the bags for the best leaf mould ever – no idea why! You are right. I felt a bit presumptuous answering questions about it, given my erratic success, but I think you have it – forgetting it is best, and nature will get on with the job when it feels the time it right.